How much do log and timber frame homes cost? Home/Blog/How much do log and timber frame homes cost? One of the most common questions we hear when building and designing log and timber homes is “how much will it cost?” Every project is unique and there is no one size fits all, but there are a few things that you need to consider when researching the cost. Finishing costs (foundation, interior finishes, local trades, etc.). Regardless of the type of timber home you plan to build, you will have to hire a professional designer to help you. Hiring a professional designer will help ensure that your project is designed efficiently and meets the current building codes. On average, the cost of design is between 1% – 1.5% of the total construction cost. This equates to an average of $1.50 – $3.50 per square foot. We strongly encourage you to research designers and hire a professional. If there is a flaw in your design or it doesn’t meet codes, your project cost can escalate quickly. 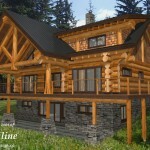 On average, full scribe log home structures tend to be more expensive to build. In addition to your design costs, you can expect your building cost to be $50.00 CND to $100.00 CND per square foot for a full scribe log home shell. 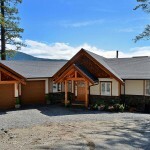 Less expensive than a full scribe log home, the average building cost for a post and beam home will typically cost $35.00 CND to $80.00 CND per square foot. However, you may have slightly higher finishing costs to help fill in the walls of the structure. Timber Frame are typically the least expensive of the three options, with an average builders cost of $45.00 CND to $75.00 CND per square foot. When working with log and timber builders it’s important to remember that they do not normally include finishing costs such as site preparation, foundations, plumbing and other local trades. Many builders will contract this out for you, but it’s important to set aside a separate budget for finishing costs. If you look after and take care of your log home, your home can last for hundreds of years. No matter what style you build, you can expect to wash and re-stain your home every 4-5 years. 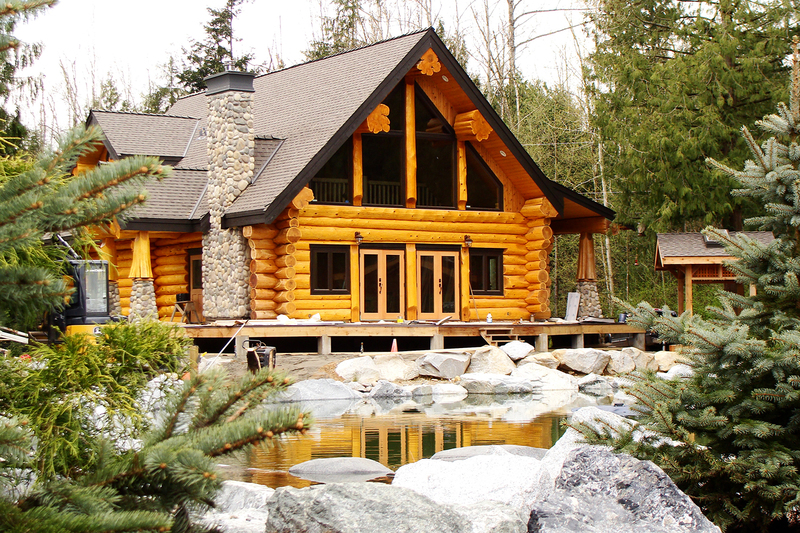 If you are building a full scribe log home, you will also need to take into consideration that for the first 3-4 years you will have to monitor and adjust your home as the logs settle. When done correctly, these ongoing maintenance costs and management can help your home look and feel new for many years. Regardless of the type of home you are building, log and timber or traditional, personal taste and special features will also factor into the cost. Adding feature log work and specific species of wood can add cost to any project. This is where a good designer will be able to help you to create the look and feel you want for your home without breaking the bank. If you find ideas that you like, speak to your designer about ways you can include them. For a more in-depth explanation or to receive a quote please contact us.